for our London showroom in Kings Cross. 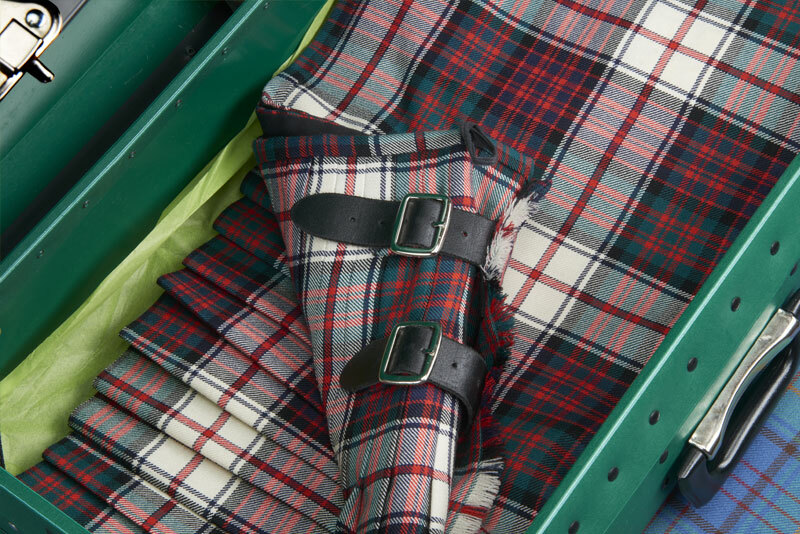 We are an independent, family run retailer of premium British made Highland Wear and accessories with a history dating back over 30 years. 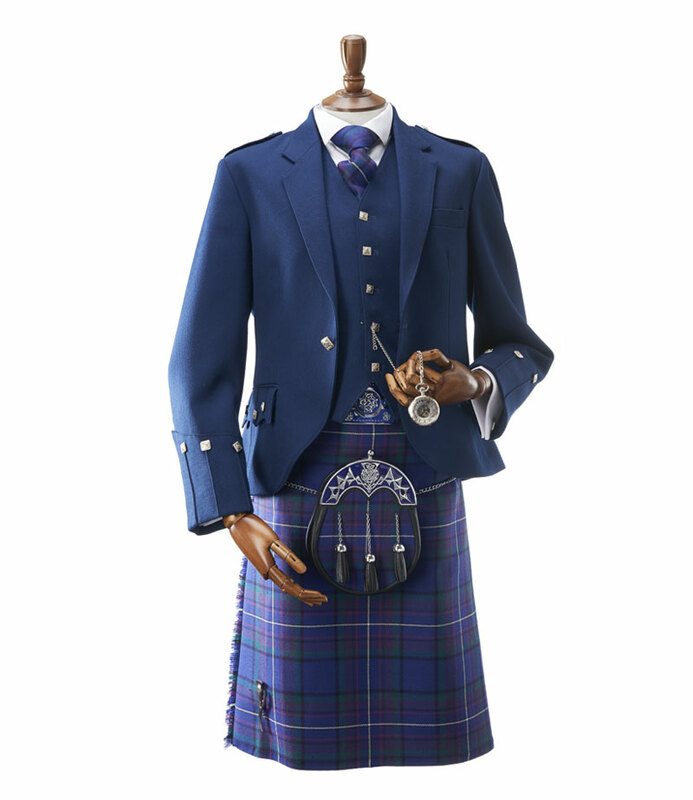 We understand that every customer is different and pride ourselves on providing a meticulous and personalised service. 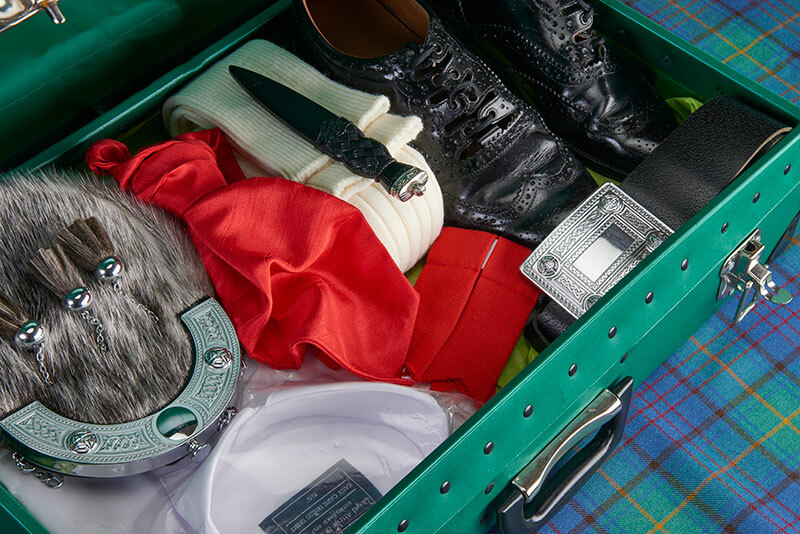 We are experienced in shipping to destinations around the world and all our hire outfits are presented in beautifully packed cases. 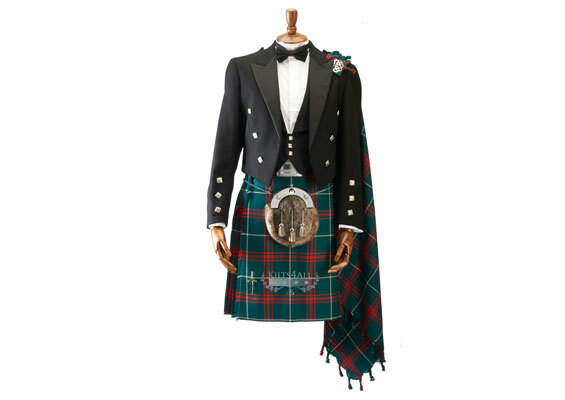 Extensive selection of Scottish, Irish, Welsh and English tartan kilts and kilt outfits ♢ Range of traditional and contemporary jackets and waistcoats ♢ Mens and boys sizes ♢ Tartan trews and trews outfits ♢ Highland accessories ♢ Individual, group and corporate hires. 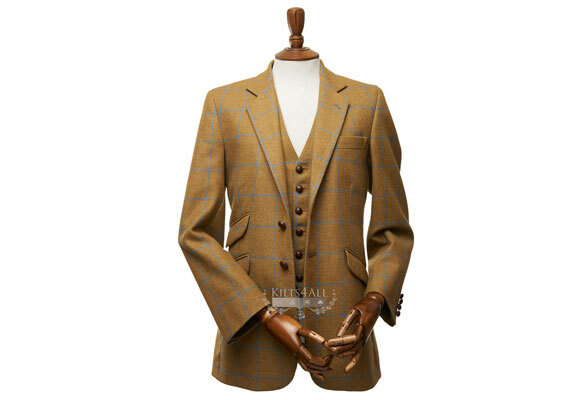 Tailored and handmade Highland Wear in over 2000 tweeds and tartans from Scotland, Ireland, Wales and England ♢ Specialists in kilts, jackets, suits, trews, trousers, plus2s, plus4s, hunting wear, ladies kilts, children’s kilts, hand crafted accessories, luxury brogues, tartan accessories and more. 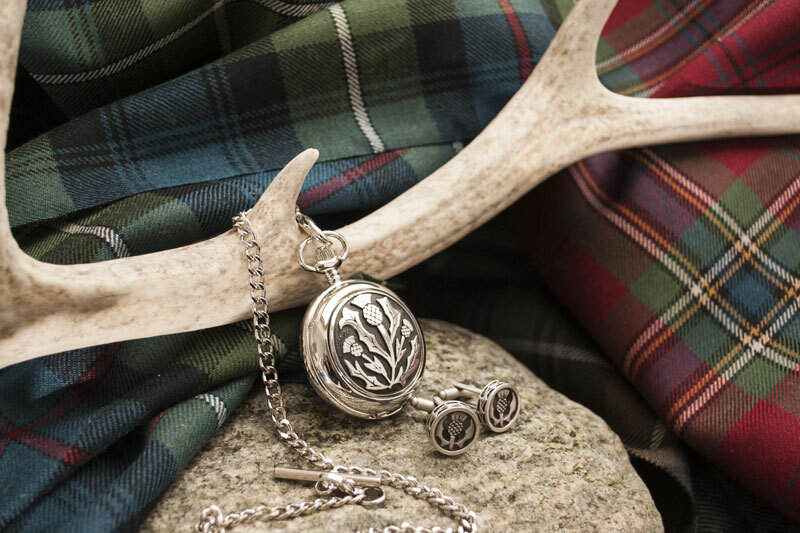 Beautiful range of Highland Wear and accessories available to purchase from our showroom and online store. 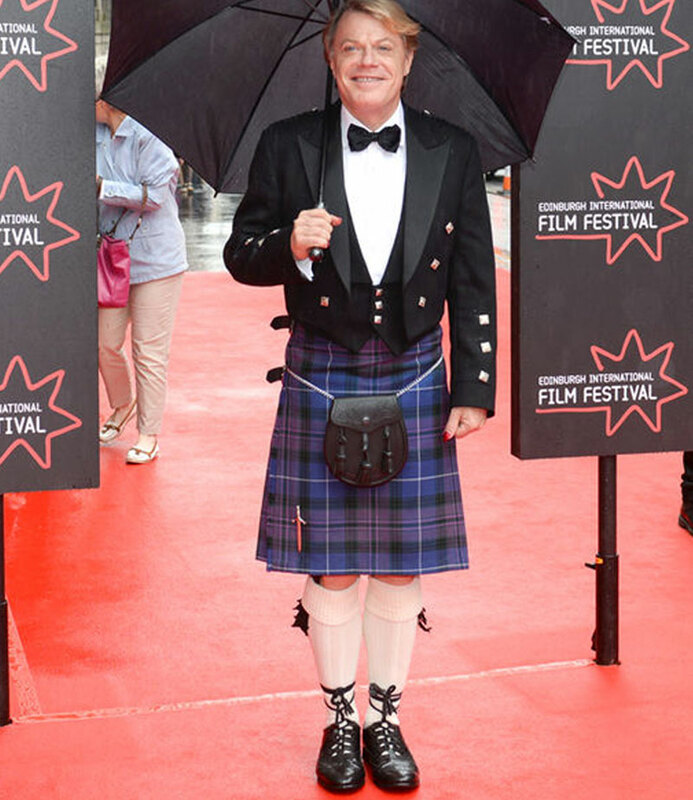 Supply hire and tailored outfits for corporate events, fashion shows, red carpet events, theatre and TV production ♢ Magazine Features ♢ Regularly working alongside Stylists and Event organisers. 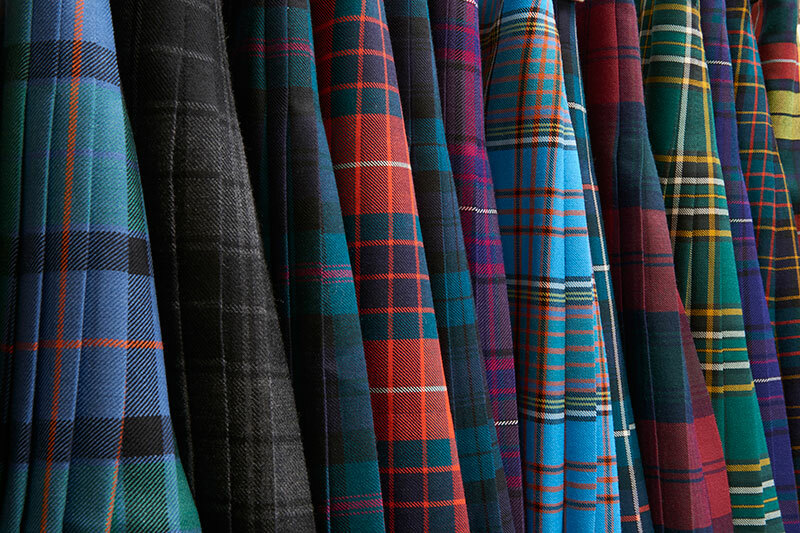 We offer over 2000 tartans and tweeds - including Scottish, Irish, English and Welsh tartans – which can be made into a variety of garments and accessories, or sold by the metre. 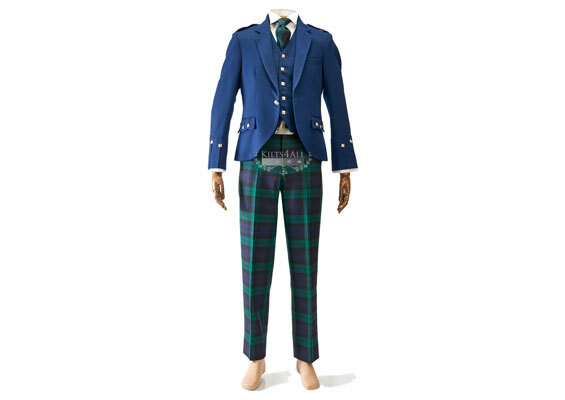 Please use our Tartan Finder to identify your tartan and see products we have available. 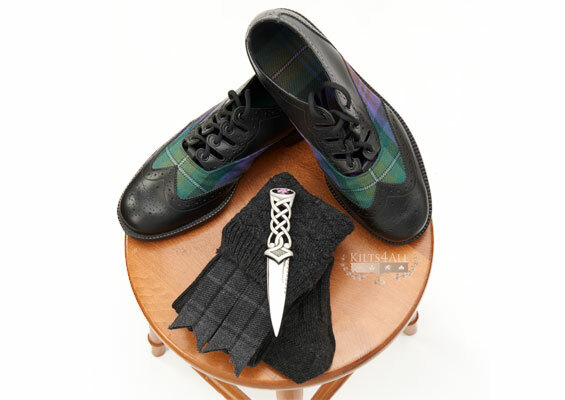 We design and weave unique tartans for customers who want to create a new family tartan, or recreate an old one, as well as for corporate use. Please contact us for more information. 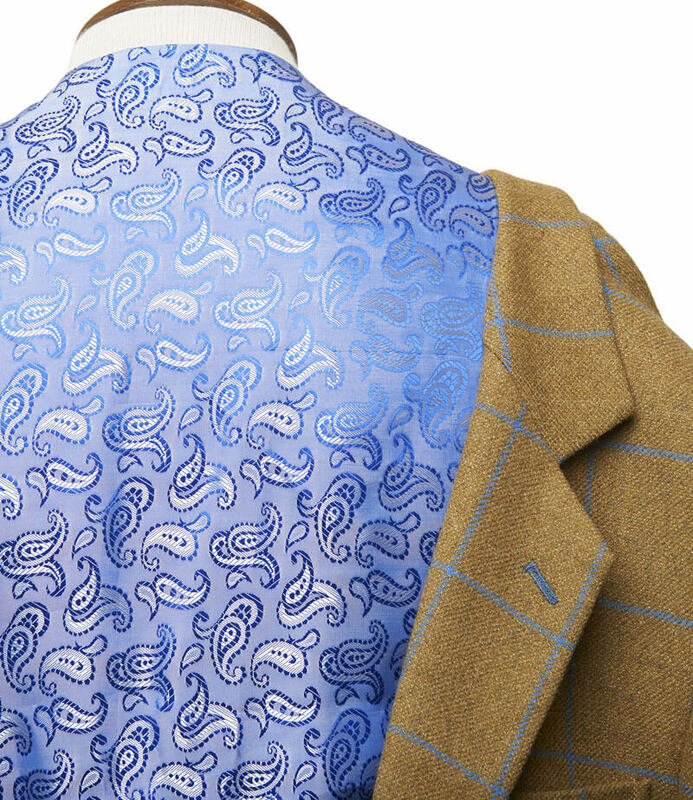 Our London showroom is conveniently located just a few minutes walk from Kings Cross Station. Your appointment time will be exclusive to just you, and you'll have plenty of time to discuss your requirements. 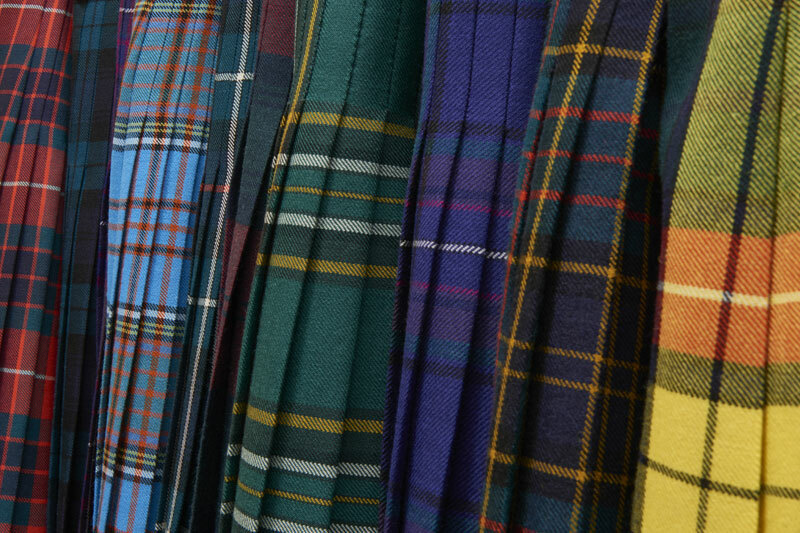 We hold an extensive range of stock in our showroom including kilts for men, women and children, tartan trews, many jacketing styles, and hand made accessories to complete your outfit. 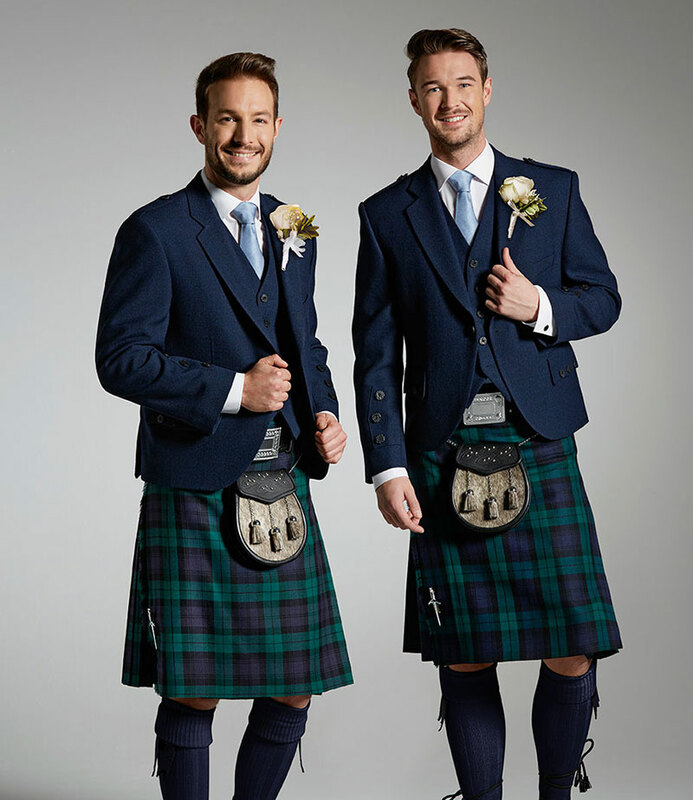 We want you to be comfortable whether purchasing made to measure garments or hiring for a special event, so we'll make sure you look perfect and help with any styling advice or tartan/material choices. 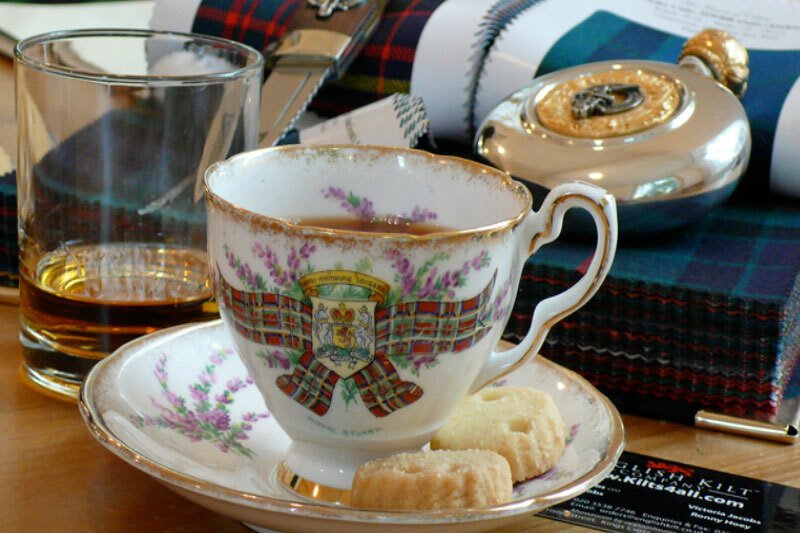 You can be certain of a warm welcome, expert advice, tea and coffee (or something a little stronger…). 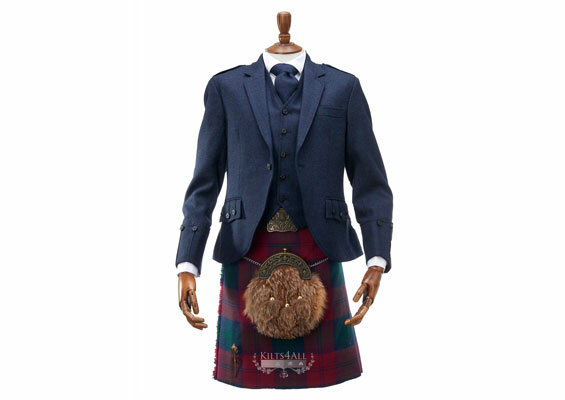 A selection of our finest Highland Wear, accessories and more is now available to buy and hire online.